The painstaking and delicate work of restoring marquetry and inlay demands that each piece is individually cut by hand. Colouring of individual pieces to blend with the original using traditional techniques such as sandshading. 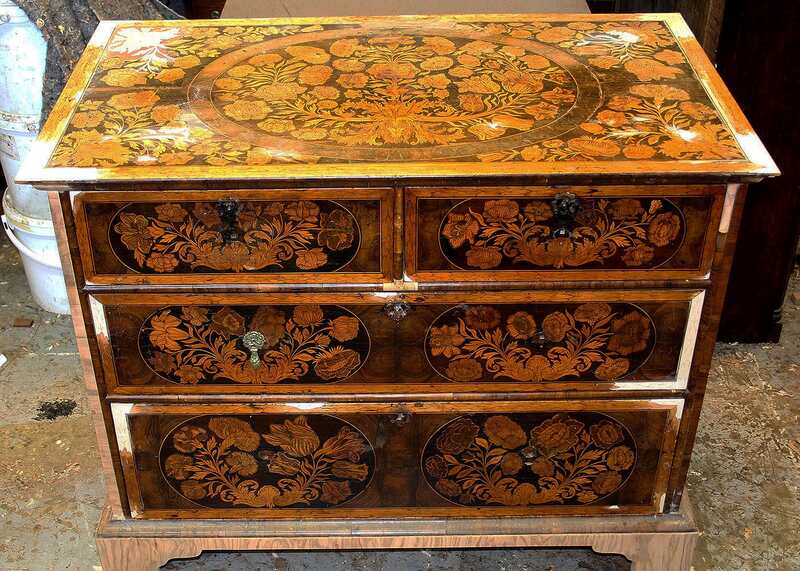 Ivory, bone, brass, mother of pearl and tortoise shell inlays can all be restored and missing sections replaced if necessary. Restoring marquetry is a delicate skills and requires that each piece is painstakingly cut by hand. Individual pieces are coloured to blend with the original. 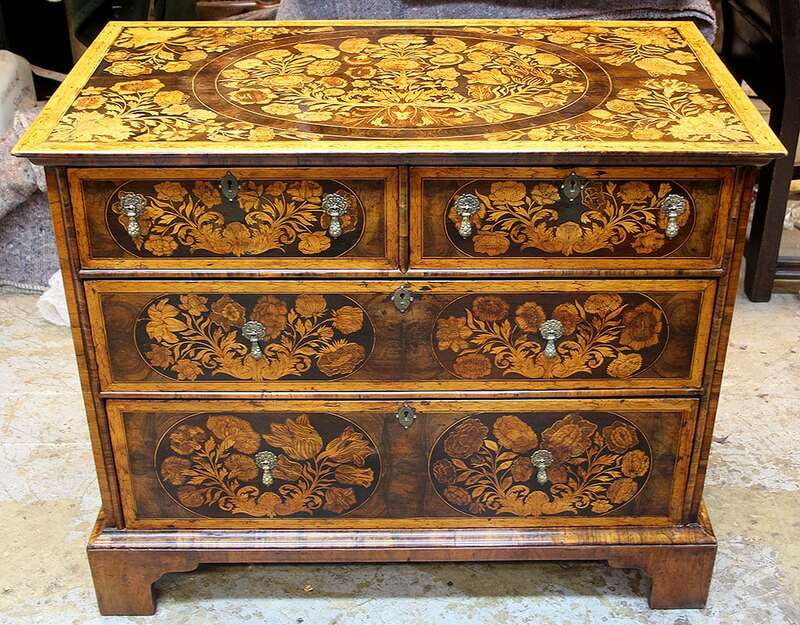 Techniques such as sandshading are used and any missing sections can be replaced or restorations made to ivory, bone, mother of pearl and tortoise shell inlays.